Pliuvium, no. 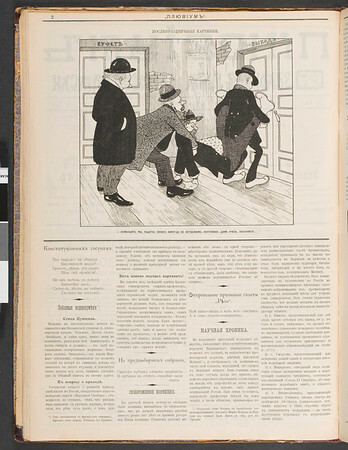 14, January 6, 1907. Published by V. M. Brevern. Edited by V. M. Brevern and V. Lebel'. St. Petersburg. Journal of political satire. This issue contains poetry, prose, pictures and illustrations by artists and writers. This was a right-wing anti-Semitic journal.